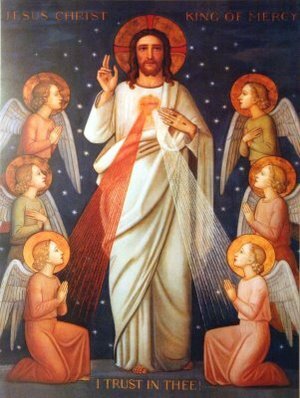 Sacred heart of Jesus I trust in you! 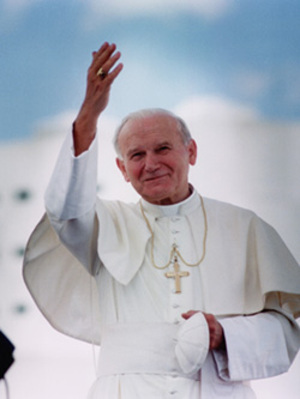 JOHN PAUL THE GREAT-WE MISS YOU! WE LOVE YOU AND MISS YOU! PLEASE INTERCEDE FOR OUR PRESENT NEEDS ON EARTH- ESPECIALLY FOR MELISSA HACKENY AND FAMILY! 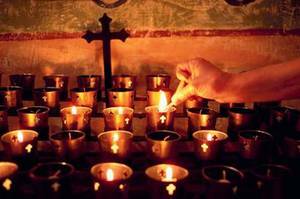 We come to you, dear Lord, like the apostles, saying, "Increase our faith." Give us a strong and lively faith that you are really present in the Eucharist; an active faith that we may live by. 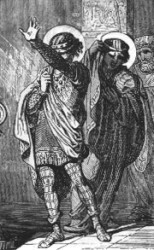 Give us the splendid faith of the centurion, which drew such praise from you. Give us the faith of the beloved disciple to recognize you and say " It is the Lord!" Give us the faith of Peter to confess, "You are Christ, the Son of the living God!" Give us the faith of Mary Magdalene to fall at your feet, crying, "Rabboni! Master!" Give us the faith of all your saints to whom the Eucharist was heaven begun on earth. In every reception of the Eucharist and at every visit, increase our faith and love, our humility and reverence, and all good things will come to us. Dearest Lord, increase our faith! I will be signing off for the rest of Holy Week; to spend more time in prayer and with family. 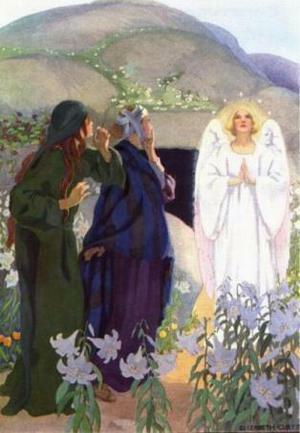 I hope that you all have a Blessed Easter. Thank you for visiting. -From the Breastplate of Saint Patrick. 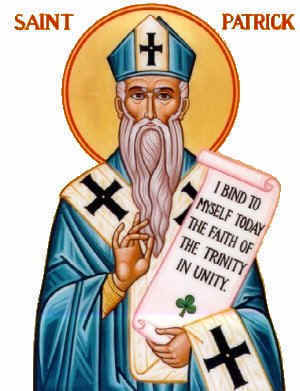 Even though St. Patrick's feast day is not on the Roman Calendar this year; I have a personal intention that I am very grateful for- Thank you St. Patrick! I hope that you all have a Blessed Palm Sunday! Thank you to everyone that responded to the urgent prayer request for Melissa Hackeny. We have united ourselves in prayer all over the world for Melissa, and will continue to do so. May God's will be done. A special thank you to all the bloggers who "stepped up to the plate" to post Melissa's prayer requests on their own blogs. Your love of Christ shines brightly and your willingness to help someone in need is an act of true compassion. Thank you ! Thank you! I was quite edified by all the wonderful comments and prayer wishes left for Melissa. Friends and even those that never met her left beautiful messages of encouragement and friendship. Surely, Melissa has felt all of these prayers that are surrounding her in love. Let us continue to pray for Melissa. 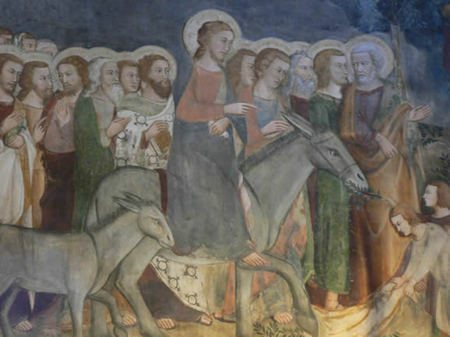 God Bless you, and may your Lenten journey bring you closer to Our Lord. 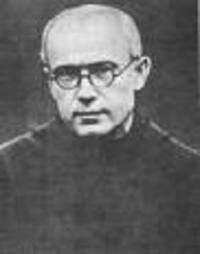 St. Maximilian Kolbe is a saint that I go to frequently for intercession. I first learned of this holy priest and martyr after reading a book about him some years ago. I remember being deeply moved by learning of the sacrifice that he made of his own life to save another man. While Father Kolbe was in a concentration camp in Auschwitz, a prisoner had escaped, and ten prisoners were to summoned to be put to death in his place. St. Maximilian Kolbe stood up and volunteered to take the place of another man about to die-who was also a husband and father. How many of us could say they would do that when faced with a similar situation? After being so impressed with reading about St. Maximilian Kolbe , I consecrated myself and family to the Blessed Mother through the Militia of the Immaculata or MI. Perhaps you too are an MI, and have been graced by his intercessions. 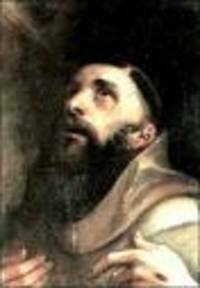 St. Maximilian found his strength in his devotion to Mary. Let us follow his example and let Our Lady guide us through the spiritual storms in our lives. The following prayer can be said for intercession of anyone in your life, but I found it to be especially powerful for those who have addictions. St. Maximilian Kolbe is the Patron Saint of those who are addicted, and as I have a loved one who was severely addicted to alcohol and pain meds; I found this prayer to be miraculous.